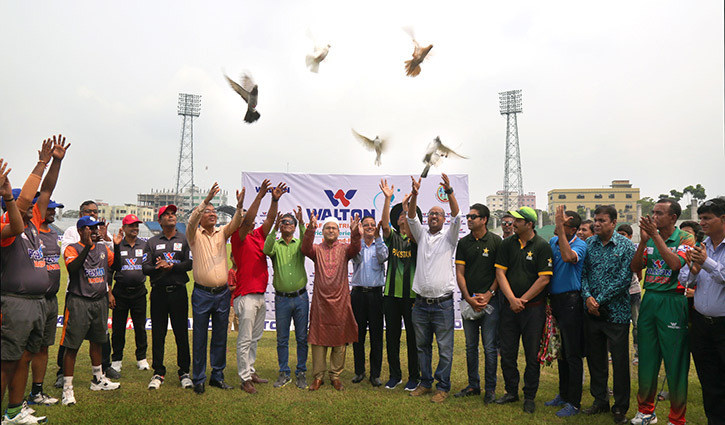 Sports Desk: The Walton Deaf Tri-Nation T20 Cricket Tournament began at the Khan Saheb Osman Ali Cricket Stadium in Fatullah with the clash between Bangladesh and Pakistan at 10:00am on Friday. Deputy Executive Director of Walton Group Uday Hakim inaugurated the meet as chief guest. India, Pakistan and hosts Bangladesh are set to initially compete on double league basis match of the tournament being organised by Bangladesh Deaf Sports Foundation and sponsored by Walton Group. Later, two top teams will play the final. Two foreign teams -- India and Pakistan -- reached the capital on Thursday to compete in the eight-day meet. The champion team will be awarded with Tk 50,000 and the runners-up team will get prize money of Tk 25,000 in addition to trophies. 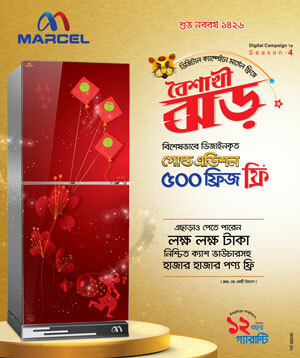 Besides, the meet’s sponsor Walton Group will give man of the match award in every match. Bangladesh Deaf Cricket team for Tri-Nation T20 Cricket: Shahriar Ahmed Chowdhury (Captain), Russell Ahmed, Wahidul Alam Momin, Afsaruddin Riyad, Aksar Ahmed, Ahmed Abdullah Al Hasib (WK), Rubel Hossain, Shohel, Imran Khan, Ahmed Nafis Imtiaz Dip, GM Mahbubur Rahman Setu, Immi Chowdhury, Akib Mahmud, Saidur Rahman and Raihan Monir.